Hike done with Mark on August 9, 2016. 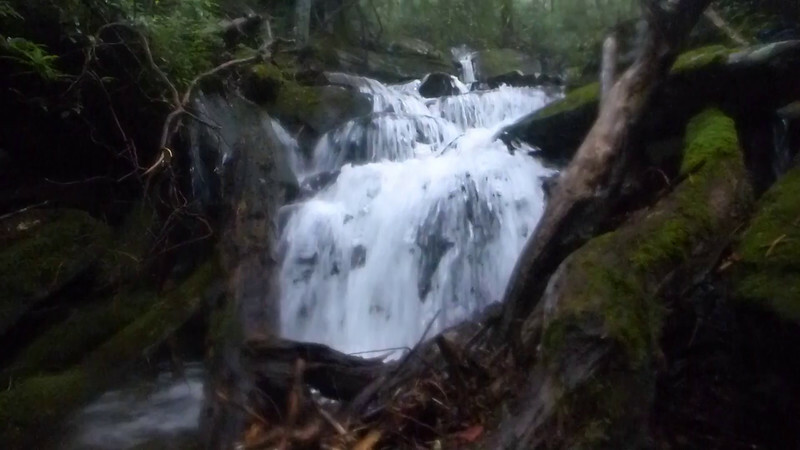 Our plans were to first check out the waterfall on an unnamed tributary that feeds into the Horsepasture. Bernie Boyer thinks this may be the "Hidden Falls" that Jim Bob Tinsley talks about in his book. Then, we were going to swim at 3 of the waterfalls along the main river. You'll see in the pics why we didn't get that latter item accomplished!! ....of the waterfall on the tributary of Horsepasture River. Lots of deadfall at the base, but by the time we were done "landscaping", a lot of that was gone! !